December in Boston! This city becomes a magical place at this time of the year, as Boston has a special way of celebrating the Christmas season. TALK Boston students will be joining the throngs of citizens and visitors for one of the highlight events of December in Boston, as they usher in the Holiday Season with the City of Boston Tree Lighting as the City of Boston’s official Christmas Tree – a gift every year for what will be 46 years by the citizens of Nova Scotia. Dignitaries including the Major of Boston turn on the holiday decorations throughout Boston Common and the Public Garden and this includes the Christmas tree. 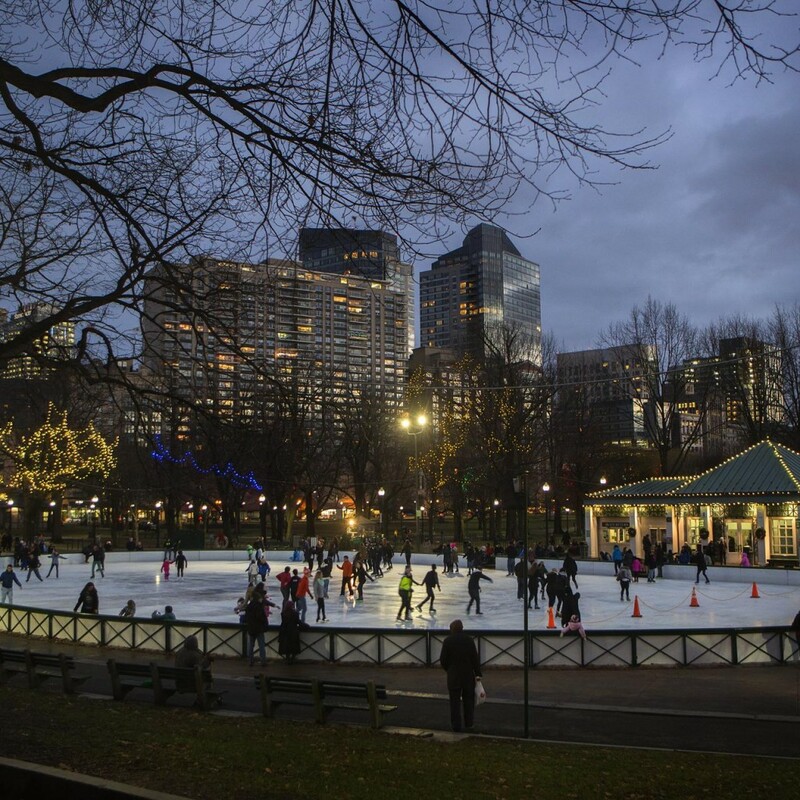 The tree stands on Boston Common, and prior to the event, onlookers can watch a free figure skating ice show on Boston Common Frog Pond. National and international competitive figure skaters, soloists, groups, a synchronized skating event make for spectacular theatre. For the rest of this festive month, there are events such as Holiday Pops which takes place at historic Symphony Hall and features traditional Pops sing-a-longs and a visit from Saint Nick himself. To cap the month of December in Boston, and to usher in the New Year, there is the famous First Night Boston, begun in 1976 by artists and local residents that wanted to bring all the communities of the city and visitors together in a way that rang in the new year by incorporating local culture while banning the public consumption of alcohol. Surrounding towns followed this wonderful series of activities and events and now there are First Night Celebrations in cities worldwide. First Night begins at 1 pm and ends at midnight with the Boston Harbor fireworks. It covers the entire city of Boston with over 30 event locations to enjoy. Events such as artistic performances – music, dance, comedy, theatre – plus a Peoples Procession and amazing ice sculptures are just some of the indoor and outdoor events which are on offer to all comers free. Word of warning if you are going to celebrate some or all of these many events of December in Boston – use public transportation on this night as the city is jam packed, and dress very, very warm! !